Dallas Buyers Cut. Requiem for a Snip. Cut Interrupted. Mr.Nohair. An honest look at one of our favorite rock star/Oscar winners. Is that a thing? Now it is. 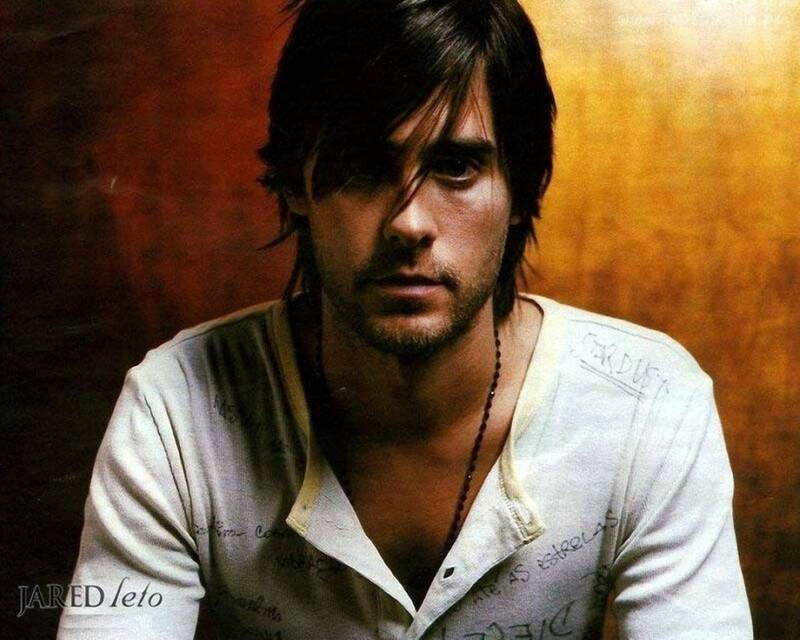 Jared sported this 'do during the shooting of Thirty Seconds to Mars' Hurricane music video. Tempting, but a little too Billy Ray Cyrus for my taste. The people behind him had their identities protected, for a reason. I'm sure. Bike not included. He's probably prettier than your mom, to be honest. But this cut is just too much. 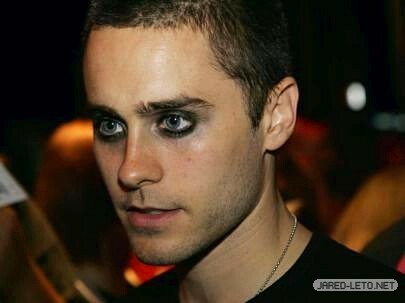 Mama Cheryl would probably enter the salon and ask for something free and wild, but Jared just sits down and theyknow. This one is definitely a miss. Sorry J.
I had quite a pension for this look when I was but a wee lass. But now, I know better and I think he does too. Dip died ends are for 7th graders, I was a culprit of this look except I had dishwater blonde hair and messed it up with Manic Panic. Well, we can't all win. Circa 2003 Jared had wrapped the mega-million picture Alexander and I think he stayed in his gladiators too long. 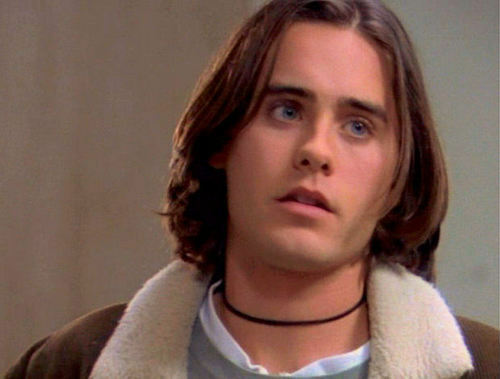 The look ends up coming off as unkempt, and as much as I love Jared, we all must leave this look in 2003, where it belongs. So many people love this cut like a fat kid loves cake. Lets be real though, he's so much cooler than that! 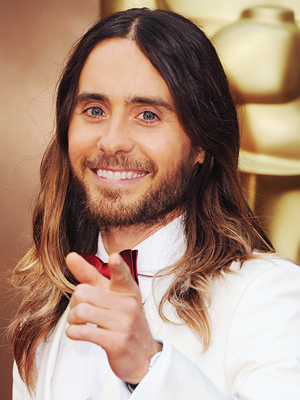 Come on people, rockstar/actor/director/philanthropist/activist Jared Leto transcends the Catalano. The 90s can keep it yo. The Intensity! 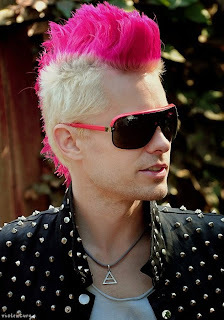 Spikey hedgehog like hair has been a staple for Jared since the release of Mars' Junior effort This Is War, one of my favorite albums of all time. This look is pretty cool, even though it gets flack from the fashionistas. Rock Stars should do whatever they want. Bleh. 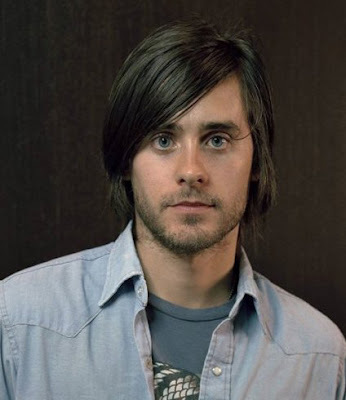 Not Leto. No flare, no risk. He still looks great though. Like always. Am I babbling...sorry. Seriously, they could be brothers 20 years removed. This, is a bit gratuitous but this is buzzfeed right? We're not in church. Get it together people! GAH Bonafide Rock Star over here. I love this period. Need I say more? It says, "Hey, I'm formal, but I like to party." Behold, that winning smile, the perfectly dip-dyed Ombre. The spectacle. The charisma. The Christ! This one is a favorite. He's got hair better than the Kardashians. Don't even step to this. My best friend calls him a space Christ, because he's out of this world, and I think that's accurate.